We all know that Big Data technology is being applied in many different areas. Decision-making aid systems in the business world, systems that establish user's patterns of behavior in any online platform or even why Google can predict when there will be a flu epidemy come to mind at once. In parallel, there is a growing socioeconomic importance in sports where elite clubs want to ensure victory to grow economically. At the end of the day, it is a world in which you compete the same way as in the business world. What follows that, if large companies invest in Big Data technologies to make the best decisions, why wouldn't top-level coaches do the same? A first approach can be found in the history from which the Moneyball (2011) film emerged. The real events occurred in 2002, when the Oakland Athletic coach, Billy Beane, created his own baseball playersassessment indicators . Thanks to this, he was able to decide which players to sign with low cost and high performance, with which subsequently won the league title. In 2014, SAP signed an agreement with Bayern Munich to supply them with a sports software that would help them both sportly and medically. This software analyzes the game's video and other indicators, such as the percentage of successful passes, the power of the chutes, or the current speed and distance traveled by each player, in real-time. Therefore, it generates instant reports that facilitate the technician's work when making decisions. With the emergence of wereables, data collection has taken a step further. The clearest example is the vest worn by some top team players during trainings and games. These vests are equipped with GPS, accelerometers, gyroscopes, cardimeters, oxygen meter and impact sensors. So, what information can be drawn from this data? Quantify fatigue and muscle wasting, thus helping to prevent muscle injuries. Quantify variables such as speed or distance traveled, helping to quantify the performance of the player. Make a heat map of the areas through which the player passes, helping to establish precise patterns of movement. Quantify the physical stress experienced by the body through impact, helping to prevent articulation injuries. Each sport has its own nature. In football it will be very important to measure impact's force Newtons, on the other hand, in rugby will be important to measure the heat maps to understand what areas are less frequented at attacking. Here comes into play the figure of the Data Scientist of each team itself. I's needed to establish what indicators you need to know to generate the desired competitive advantage. The FC Barcelona in particular, uses a centralized data system called COR (Conocimiento, Organización y Rendimiento). A high density servers cabin located under the door 49 at Camp Nou. 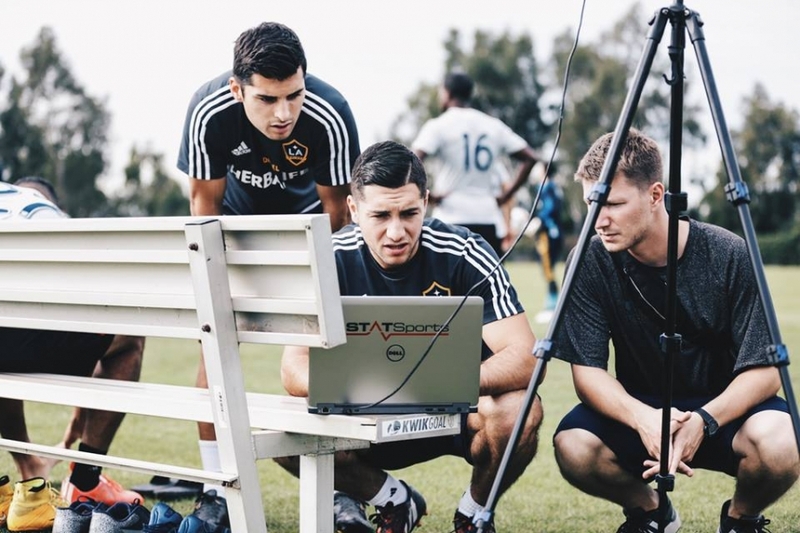 This system is responsible for collecting all kinds of data about the players, whether professional or youth teams, from the club or potential signings. From medical and sports data, to matches and trainings performance videos are served instantly thanks to the storage system. Its features allow team managers to set parameters they deem appropriate to filter the list of players, so they can succeed in discovering talent to sign the best players. Unfortunately, all these technologies have a very high cost: for example, each jacket has an approximate price of 1,500 €. This limits it's use to top-level sport organizations such as FC Barcelona, ​​Manchester United or NBA teams. In our case, as football coaches of the Athletic Mataro, we have to settle hand-writing on a paper the few data we can capture during the course of the game. In short, we hope that it lowers the price soon, so we can enjoy the competitive advantage that this data analytics technology provides.